The evening went well, with large numbers of visitors. 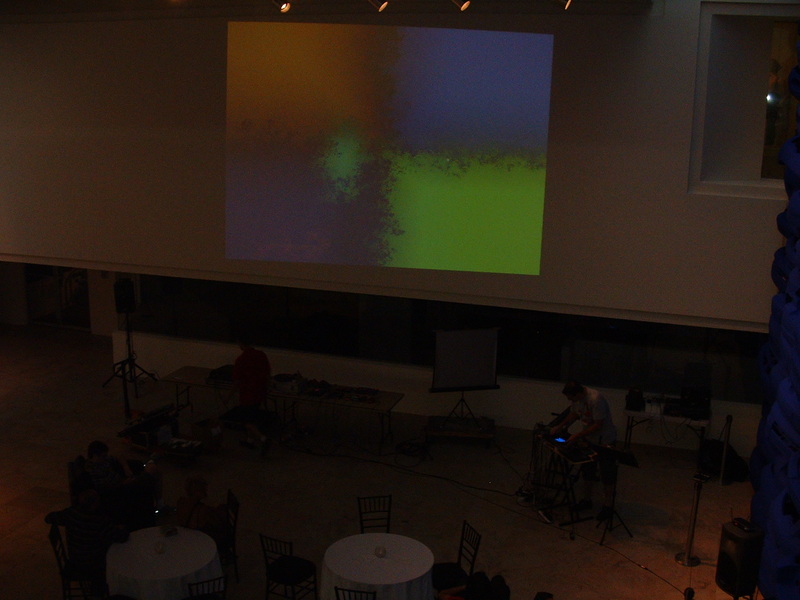 I found the experimental music stimulating, and it interacted with my work in an interesting way. My Vision Persist program was showing on the ground floor throughout the evening. This work generates simple abstract paintings whose colours bleed into each other over time – creating stains and blooms of new colours which spread across the “canvas”. 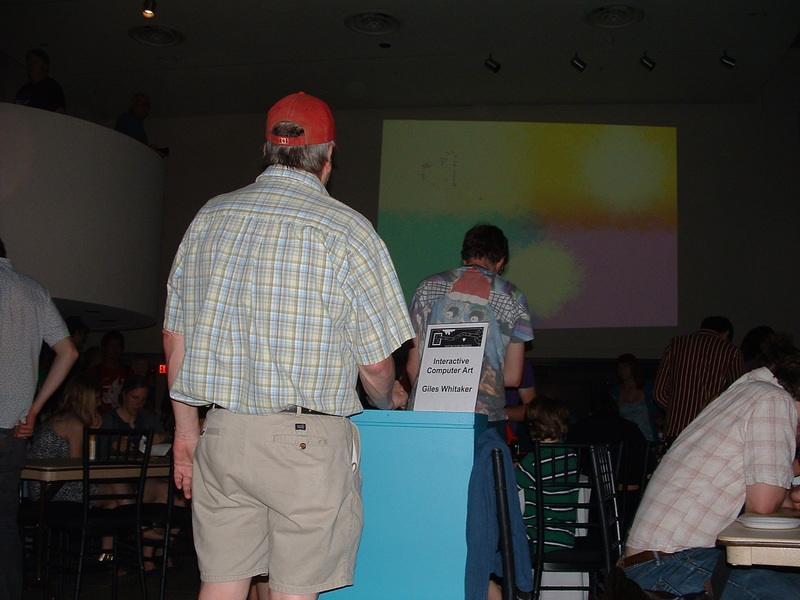 Viewers were able to draw into the canvas themselves by using a mouse on a podium – so they could influence the evolution of the painting by adding their own coloured shapes which would then continue to evolve and affect the colours around them. People seemed to find the work easy and enjoyable to interact with – I saw people of all ages having a play with it. My only criticism was that the program ran a bit slowly, only updating at about 5 frames per second. In terms of the evolution of the painting, I didn’t have a problem with this, as it created a sort of slow, meditative feeling. However, as the users’ drawing had to wait for the screen updates, drawing wasn’t very smooth. If you confined your drawing to a smallish area to create blobs it worked well, but users who tried to create rapid lines and swirls found the lines would break up into a series of unconnected points. I need to have the screen updates and the drawings running in separate threads – so that even when the screen is updating at a low framerate, drawing can still take place at a high framerate.